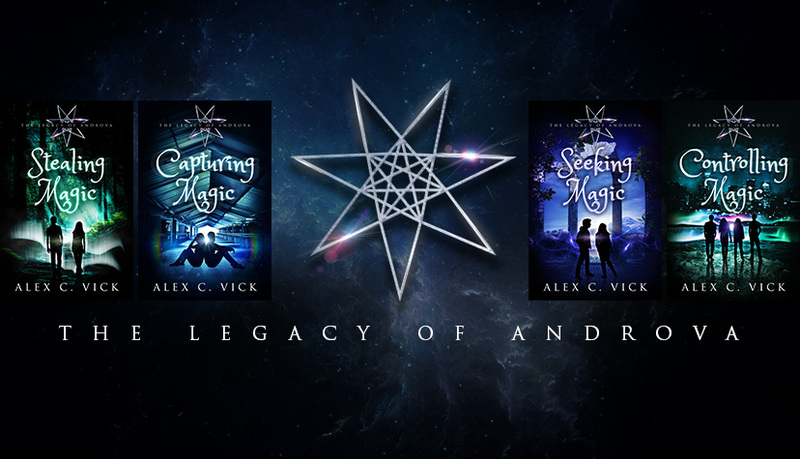 I'm so happy to be able to share the cover for Connecting Magic, the final book in the Legacy of Androva series 😊. It is once again the work of the brilliant Kerry Hynds, who already did such an amazing job on the other books in the series. Much as I love the characters of Cal and Galen, it was great to return to Jax, Shannon, Darius, and Penny for this final adventure. Can you see the glowing circle between Jax's and Shannon's silhouettes? If you look closely, you'll be able to see the same thing on the first three book covers as well. Connecting Magic explains the reason behind it. There's also a brand-new villain, a lot more character development for Darius, and at least one surprise cameo appearance. The book description as revealed a few weeks ago is shown again below, along with all the series covers together. I also have a confirmed release date: Monday 7th May. Thank you very much for visiting my blog and I hope you like the new cover! Ancient magic and a new enemy. Death is coming. 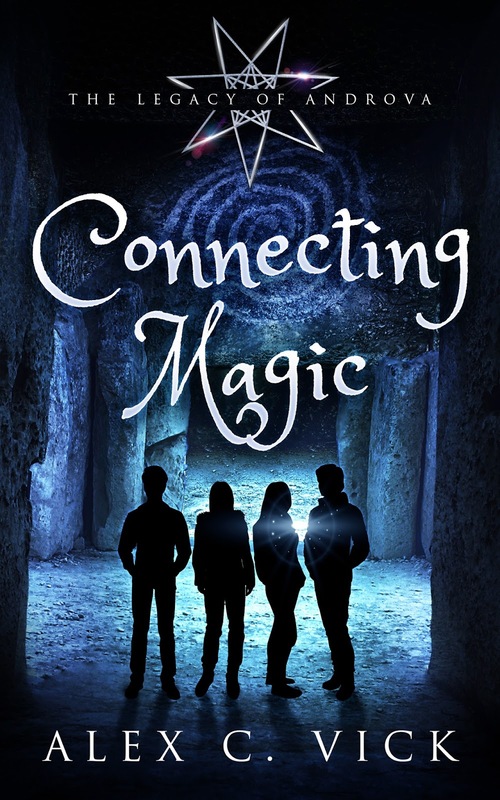 Shannon, Jax, Darius, and Penny are underage magicians from different worlds. They have defeated the worst of villains and forged a bond that will last for the rest of their lives. But there’s no happy ever after yet. In fact, death might be waiting right around the corner, and they have no idea just how fast the clock is ticking. Problem one: A magical contract, created when Jax and Shannon first met, has recently been triggered, and its life-threatening consequences appear to be unavoidable. Problem two: Magic obeys the magician. It has no conscience. No filter for good or evil. And Darius is about to demonstrate that a good magician is more than capable of using evil magic.